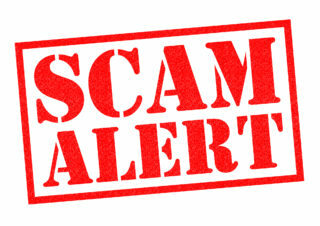 California Cannabis: Scams and Schemes of the Week – Cannabistical: of or concerning cannabis. I’ve had it with the scams and schemes in the cannabis industry. I’ve never seen so much dangerously ignorant and downright criminal behavior. Since beginning work in the cannabis industry, I have yet to go a day without encountering some sort of scam. The unscrupulousness of some attorneys, consultants, and operators in this industry needs to be called out and eliminated so we can establish an ethical, regulated industry in California. Towards that end, I’ll be posting a weekly list of scams and schemes to help unsuspecting victims avoid getting taken for a ride. Scam #1: We Turn Your Cash into a Check Through Real Estate Investment! There is a group pitching a scheme to turn dispensary cash into checks that can be deposited in the bank. The method: fork your cash over to this group. They toss your cash in with other “investors” and buy real estate with it. They flip the property, and send the proceeds to you in a check. Folks, this is textbook money laundering. The pitcher of this scam is exhibiting at industry conferences across the country and handing out “attorney-approved” contracts. Brazen, stupid, and dangerous for all involved. If you want a lesson on what the government thinks about combining anonymous cryptocurrency with a federally prohibited substance, look no further than the life sentence handed down to Ross Ulbricht, creator of the Silk Road. Ulbricht was convicted of money laundering, computer hacking, and conspiracy to traffic narcotics. Those are the exact same charges that could be brought against any cannabis cryptocurrency company. Don’t get me started on the value of cannabis cryptocurrency on the secondary market. It’s complete b.s. Most people laugh out loud when they hear this. Unfortunately, there are a few attorneys who provide their clients with downright criminal advice, trying to convince would-be business partners or landlords to engage in unlawful behavior. The days of collectives and “creative” lawyering to get around the laws are over. We now have a robust regulatory system under MAUCRSA that makes it clear that you cannot engage in any sort of commercial cannabis activity before obtaining all local approvals and a state license. Just say no. You are a legitimate business, and you need to retain a legitimate and experienced lawyer to handle your legal matters See Seven Keys to Choosing Your Cannabis Business Law Firm. Previous: Can Anyone Go to a Medical Cannabis Clinic?